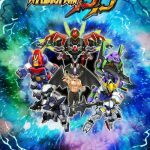 During a stage event at Taipei Game Show 2019 Bandai Namco revealed the second trailer for Super Robot Wars DD, newest mobile game of the franchise. Details on the game’s story were also revealed along with new Original characters and mecha. 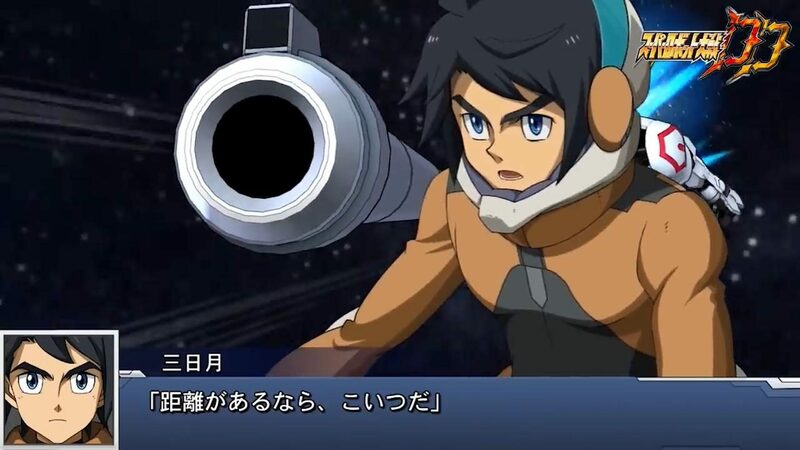 Super Robot Wars DD, standing for Dimension Drive, was announced in November 2018 with a first trailer. 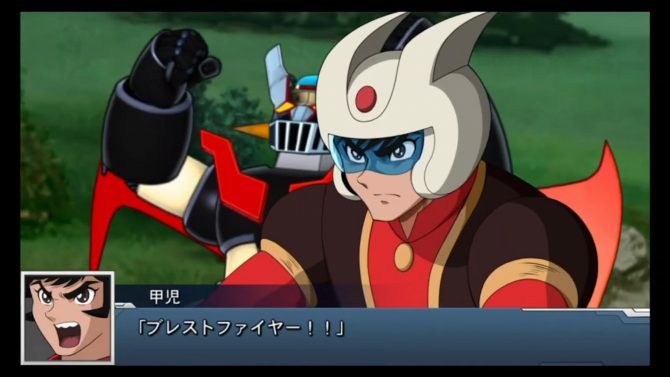 The game’s producer is Masatoshi Akai, who was previously only known as “Red”, appearing in Super Robot Wars streams doing jokes while cosplaying Kyosuke Nanbu. As such, his reveal as a producer was quite surprising. He was cosplaying during the event too, and we finally got to learn his real name. Super Robot Wars DD’s setting has four different worlds, each with their own series. At the beginning of the game, you must choose which world to start with, but eventually, all worlds’ units and characters will join together. World 2: Super Electromagnetic Robot Voltes V, Mobile Suit Zeta Gundam, Mobile Suit Gundam: Char’s Counterattack, Mobile Suit Gundam Unicorn, Getter Robo Armageddon, The King of Braves GaoGaiGar, Rebuild of Evangelion 1.0, Rebuild of Evangelion 2.0. (They are series which loosely represent SRW Alpha games). World 3: Full Metal Panic series, Mobile Suit Gundam Seed, Mobile Suit Gundam 00, Code Geass: Lelouch of the Rebellion. (They are series which loosely represent SRW Z games). Akira Fudo/Devilman is voiced by Sho Hayami, who voiced him in the 1987, 1990 OVAs. Super Robot Wars DD‘s battle system is turn-based, with both ally and enemy units turn order decided by their speed. There is no “ally phase” and “enemy phase” like in other Super Robot Wars games. Every character and mecha is obtainable in the game’s story without rolling the gacha. Each mecha unit only has one “common” weapon, and you must equip different “unit parts” to be able to use stronger attacks in battle. Each unit can equip up to five units parts, but can only equip one unit part that unlocks a strong attack at a time. For example, GaoGaiGar can’t have Hell and Heaven and Broken Magnum equipped at the same time. Unit parts also give stat boosts. You can equip any part on any unit, but one unit can’t use another’s attacks. There will be mecha upgrades. 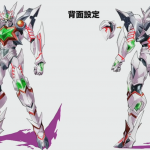 For example, Kira will go from Aile Strike Gundam to Freedom Gundam. 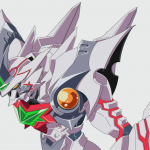 However, Freedom Gundam cannot use the attacks of Aile Strike Gundam’s unit parts. Aile Strike will still be available even when you get Freedom. This will be the same for all mecha upgrades. A first Beta Test was held in December in Japan, and more tests are coming. Didarion. A weaponized giant discovered inside Eltsard, an alien battleship found in a cave beneath Antartica’s ice. It was discovered by MART, the Antartic Bedrock Investigation Team. Didarion has a high power source integrated, allowing it to display high fighting capabilities. MART has been unable to analyze Didarion’s power source so far. 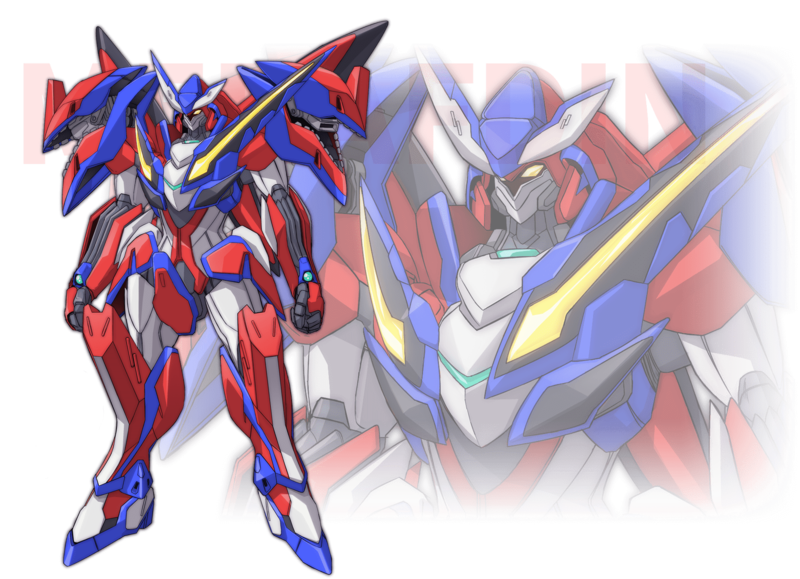 Didarion was designed by Masami Obari and is over 20-meters tall. 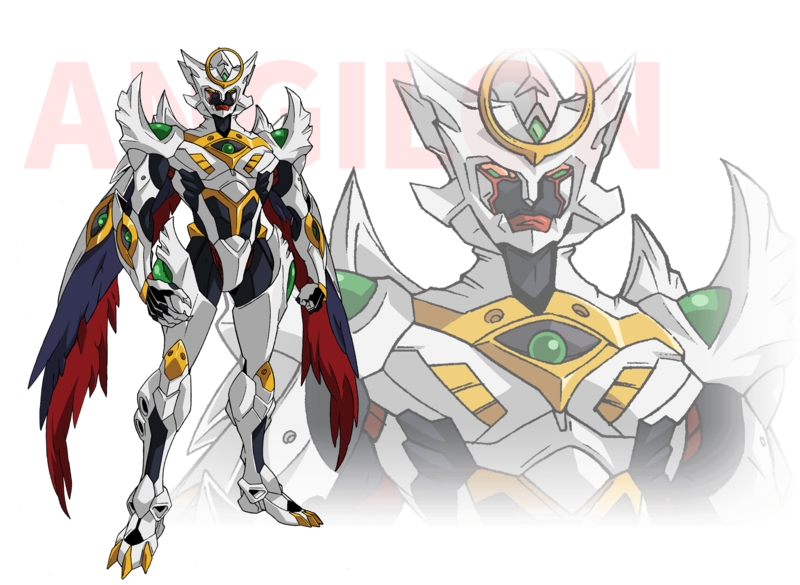 Didarion’s origins will be detailed in the game’s story, and this isn’t his real form. Producer Terada also called Didarion a “Real Type”. Dido, the Original protagonist of Super Robot Wars DD. He’s voiced by Youhei Azakami and designed by Suzuhito Yasuda, aka Suzupin. Dido isn’t a pilot but instead is Didarion himself, as he transforms into it like a superhero. Calm in appearance, he displays a fierce fighting spirit when in battle. He distances himself from others, except for Meg. Obari is really implicated in Super Robot Wars DD‘s development and even assisted in Azakami’s dubbing sessions for Dido. Suzuhito Yasuda is the mangaka of Yozakura Quartet (which you should totally read as it’s one of the best post-2000 Shonen) and is also the character designer of Durarara! !, Danmachi, and some Digimon games like Digimon Cyber Sleuth. Meguru Daimon, nicknamed Meg. She’s voiced by Yuki Nagaku and also designed by Suzupin. Meg is the sole daughter of professor Daimon, the man in charge at MART. She’s a determined girl, but also very gentle and with a strong sense of justice. 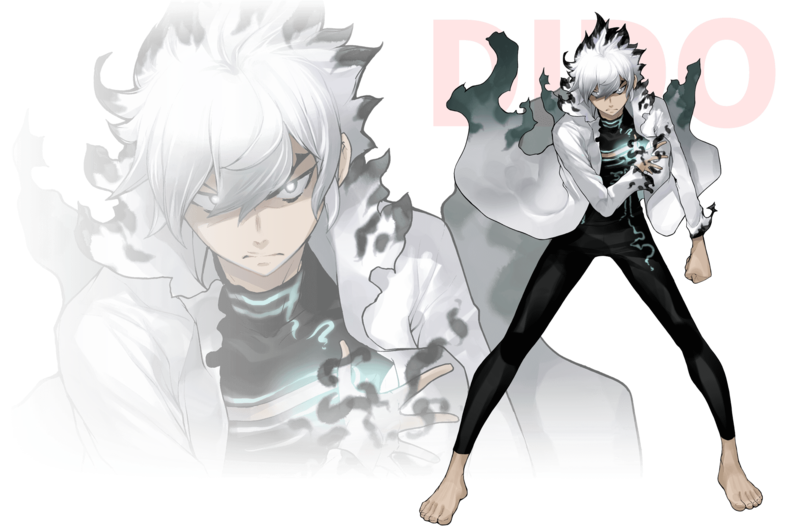 Meguru is a “Phenomena”, special individuals who can use special abilities with their brains. These abilities are called TMP or “Third Man Phenomenon”. Meg is also the leader of the team of test pilots for Dominant Troopers, the humanoid mecha weapons developed by MART. Lastly, Meguru is described as “the only one who truly understands Dido”, and also as “heroine”, which in Japanese games is a term implying she’ll be a love interest for the protagonist. While romance systems have been present in multiple Super Robot Wars games in the past, there was still no official confirmation that there’s one in Super Robot Wars DD. 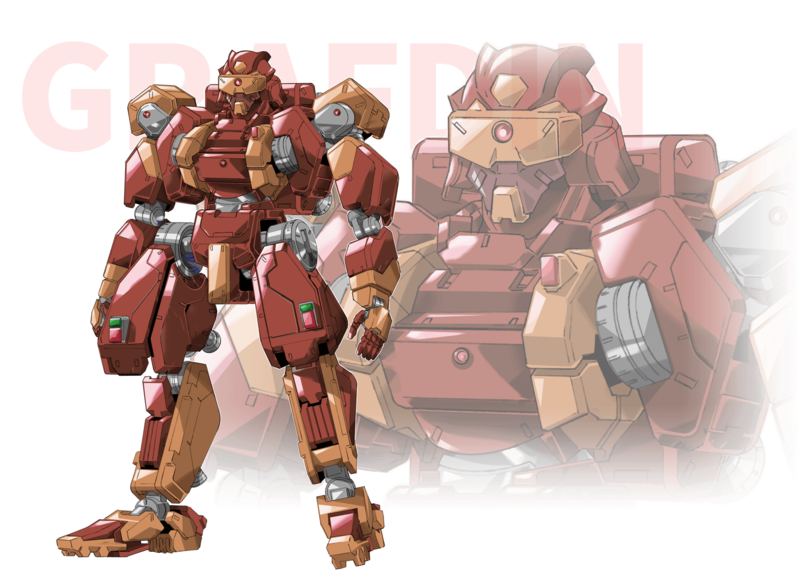 Merafdin is Meguru’s mecha, designed by Mika Akitaka. Merafdin is an alien robot which was discovered inside the alien battleship Eltsard, just like Didarion. Merafdin was repaired by MART but some parts of it are still broken, like the head sign and its right shoulder. Merafdin has a high power source, granting it superior offensive and maneuvering capabilities. Merafdin can only be piloted by Phenomena like Meg, as it uses an User Interface called TMPI, only usable by people who can use TMP. 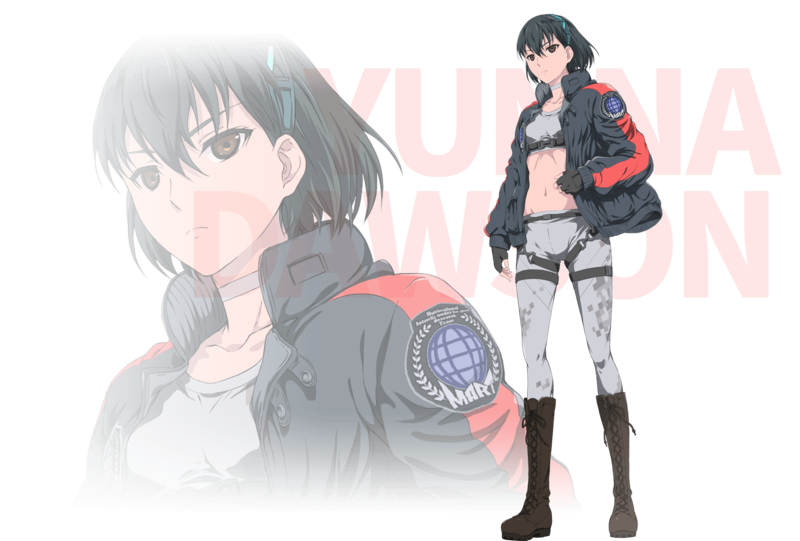 Yunna Dawson, voiced by Reina Ueda and designed by Kanta Suzuki. Yunna is one of Meguru’s subordinate, part of the team of test pilots for Dominant Troopers. Yunna can manage to keep her cool in any situation. She volunteered to be part of the air force, and was training in the army to become a jet pilot, but was drafted by MART to become a Grafdin pilot after they discovered her ability as a Phenomena. Yunna is also described as a “sub-heroine”. Grafdin piloted by Yunna. 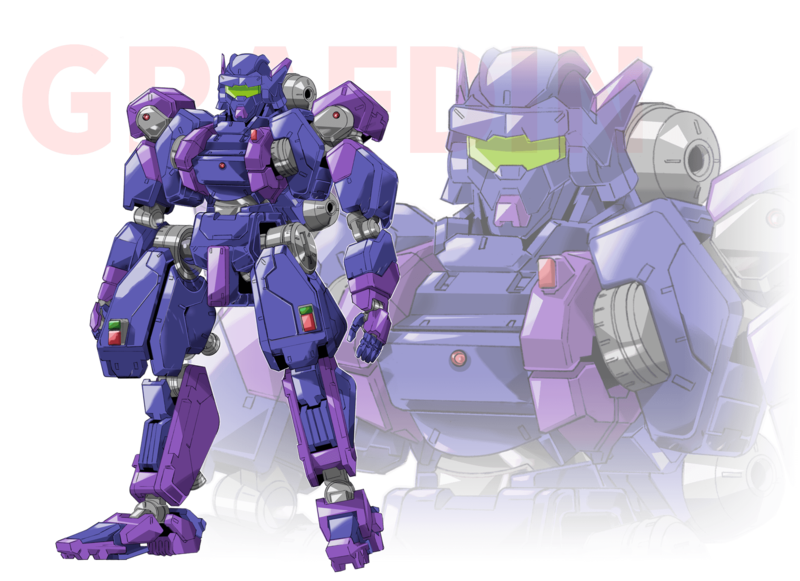 All Grafdins were designed by Kenji Teraoka. 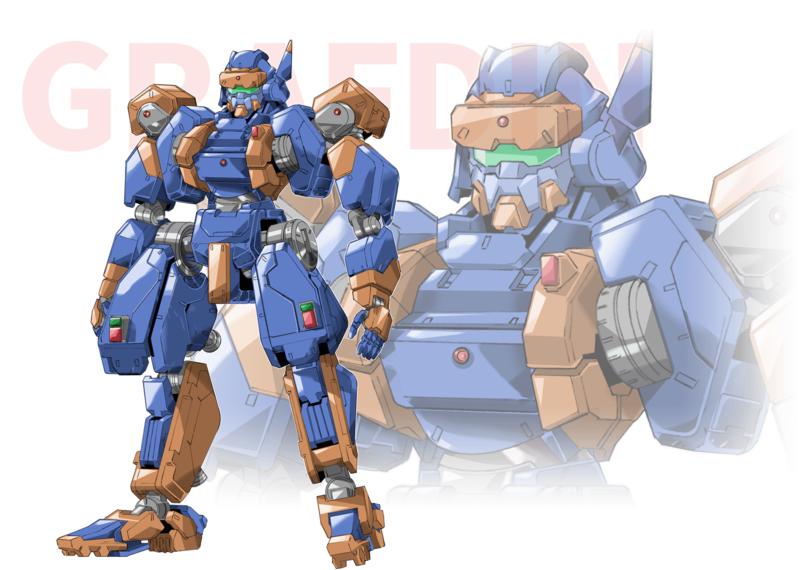 Grafdins are “Dominant Trooper”, humanoid robots independently developed by MART. The Grafdins are based on Merafdin’s data. They all use TMPI and can only be piloted by Phenomena. 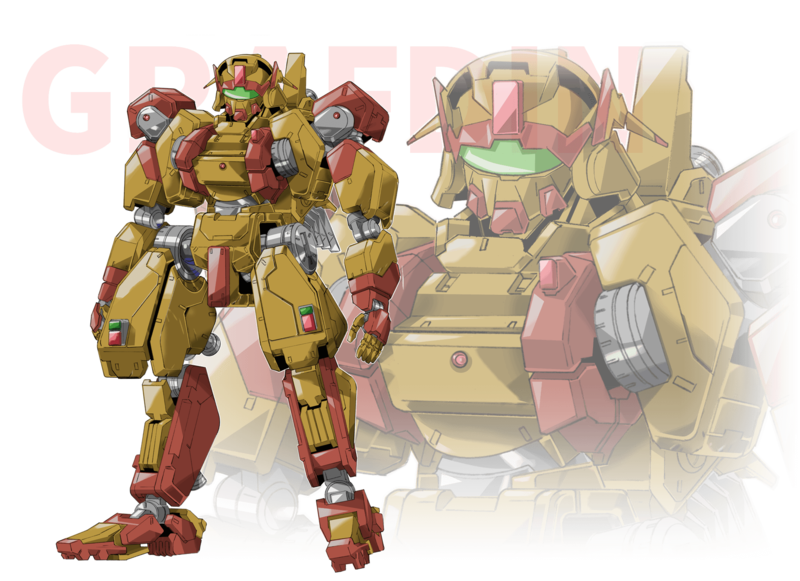 Grafdins can equip different parts and weapons depending on the mission and the piloting Phenomena’s powers. Terada called the Grafdin a “Real Robot”. 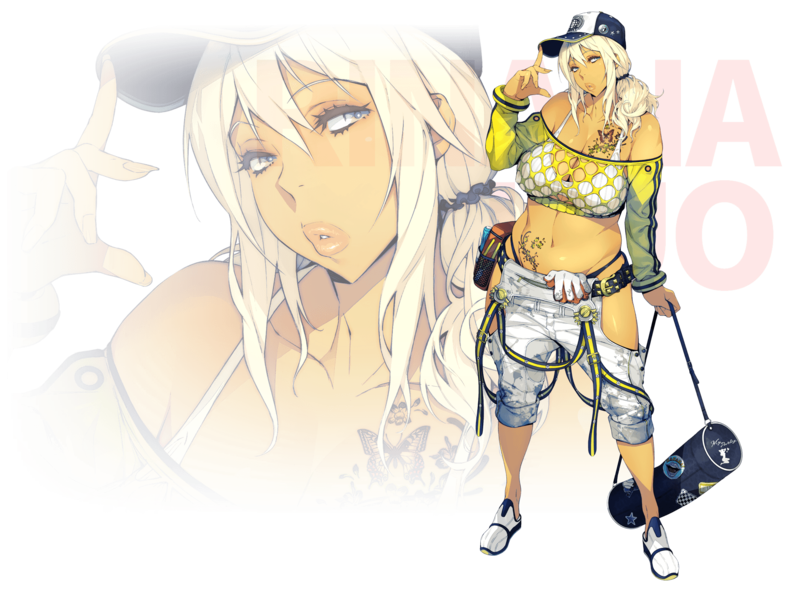 Sakimi Kanmaki, voiced by Megumi Han and designed by Suzupin. She’s part of the test pilot team led by Meguru. She has a business-like attitude and always serious, but also brims with curiosity. Despite being older than Meguru, she never disrespected her and accepts her as a leader. 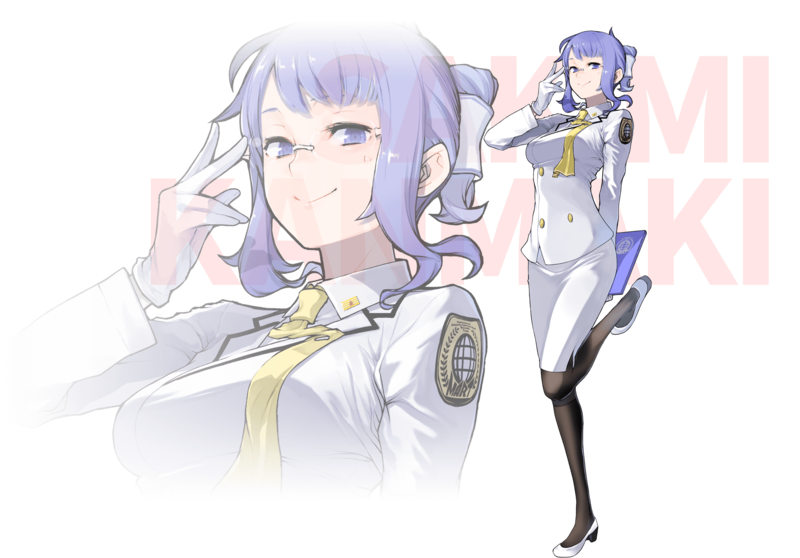 Before being drafted by MART as they discovered her TMP abilities as a Phenomena, she used to work in the personnel department of a Japanese company. 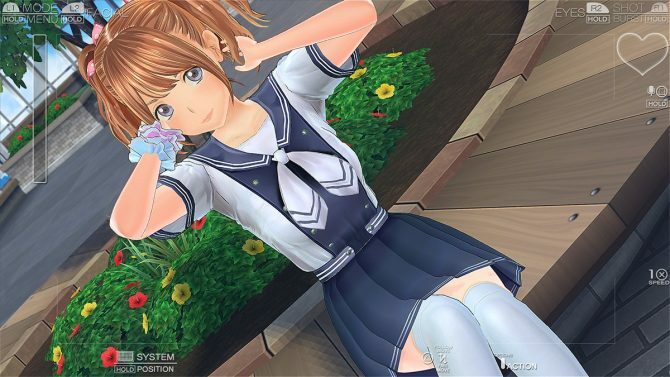 Sakimi is also described as a “sub-heroine”. The Grafdin piloted by Sakimi. Rinalia Kuo, voiced by Haruna Ikezawa and designed by Wataru Watanabe. Rinalia is part of Meguru’s team of test pilots. She’s the type that usually doesn’t show nor voice her thoughts, except when she really has something to say. She used to work at MART as an engineer before being drafted as a pilot after they discovered she’s a Phenomana. 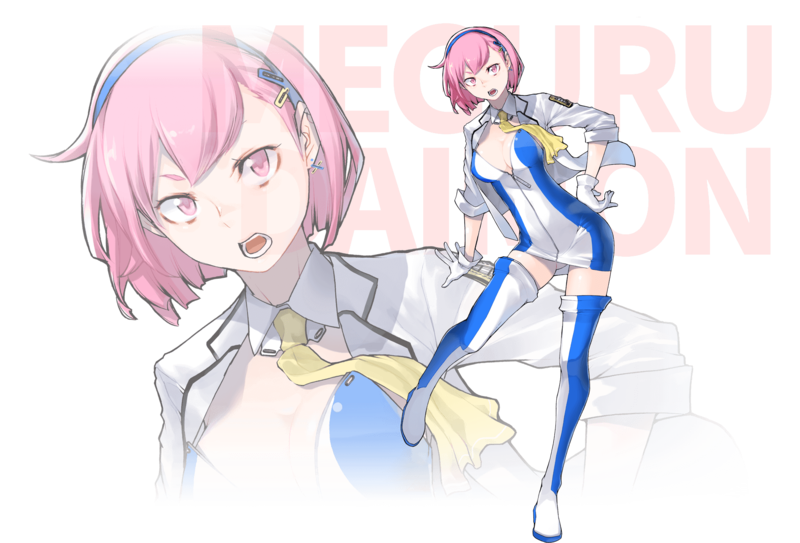 Rinalia is also described as a “sub-heroine”. 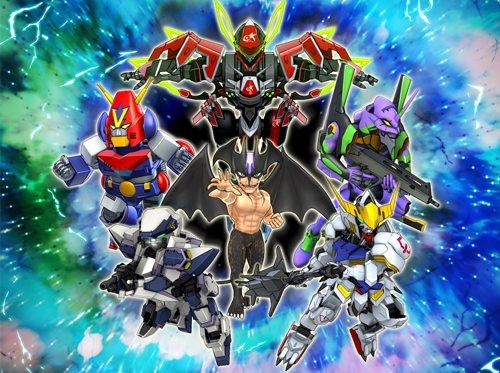 Wataru Watanabe is also the character designer for the Original characters in Super Robot Wars Masoukishin F, Super Robot Wars V, Super Robot Wars X-Ω. Grafdin piloted by Rinalia and specifically customized for her. It carries on its back a weapon called Ever Star, which shoots energy bullets. The sensors on its head are also more efficient than the other Grafdins. 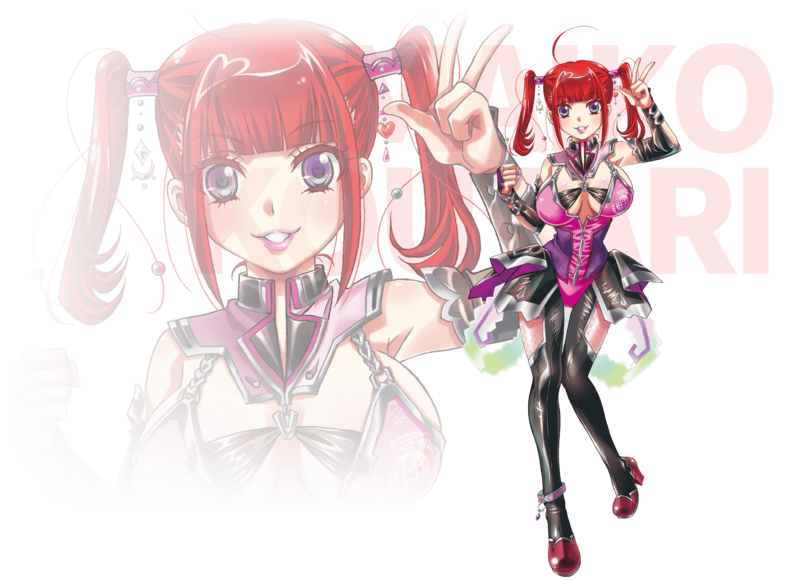 Maiko Koutari, voiced by Mariko Kouda and designed by Sachiko Kouno. Maiko is also part of Meguru’s team of test pilots. She used to be an idol and was especially popular for her sixth sense like abilities. After she starred in a movie where she displayed her abilities, she was selected by MART to become a Grafdin pilot. Maiko is also a “sub heroine”. Sachiko Kouno is a veteran animator and character designer. She’s one of the character designers working on Super Robot Wars since the start of the series and she designed some of the very first Original characters of the franchise. The Grafdin piloted by Maiko and specifically customized for her. It carries on its back the Heavy Larial Cannon, which shoots physical bullets. The sensors on its head are specialized in electronic support and have a higher search capability than the other Grafdins. 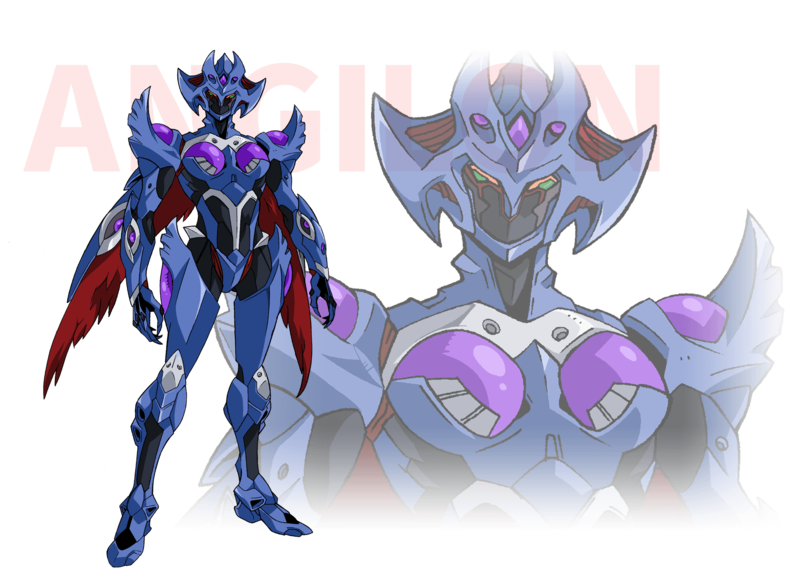 Angilon, a pilotless sentient giant designed by Kimitoshi Yamane and voiced by Tomokazu Sugita. 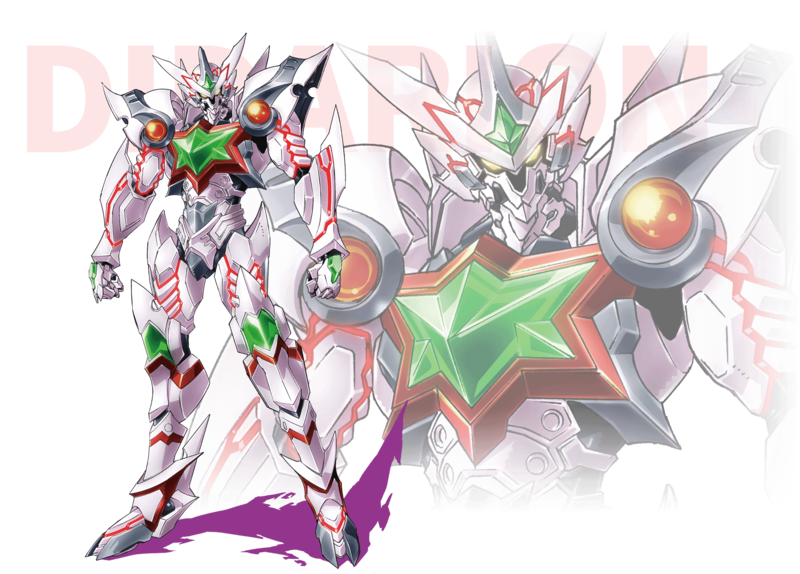 Angilon is one of the antagonists of Super Robot Wars DD and has high offensive capabilities. It seems similar to Didarion but its origin is unknown. 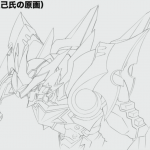 According to Terada, Bandai Namco asked Yamane to design Angilon to contrast with Obari designing Didarion. Masami Obari and Kimitoshi Yamane are longtime friends who worked on many projects together like Bubblegum Crisis, hence why their styles are similar. Malbion, voiced by Aya Endo and designed by Kimitoshi Yamane. It’s a giant that seems similar to Angilon, and they both relentlessly hunt Didarion. That’s all. 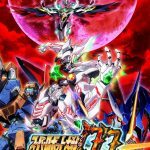 Super Robot Wars DD will launch in 2019 in Japan, Taiwan, Hong Kong, and Macao. Producer Akai said multiple times on streams that the game “will be enjoyable by overseas players as well”, but it’s unclear if he meant the other Asian releases or if an English version will be announced at some point. You can find the second trailer below. New gameplay videos are regularly uploaded on the game’s official Twitter. 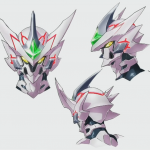 More artwork of Didarion by Masami Obari is included in the gallery below, including the game’s first key visual, and a new really cool key visual drawn by Obari. Bandai Namco and Terada asked Obari if he could draw that visual and promised they’d bring him to the Taipei Game Show event if he did. Obari really loves Taiwan and went there more than a dozen times already, so he immediately accepted. 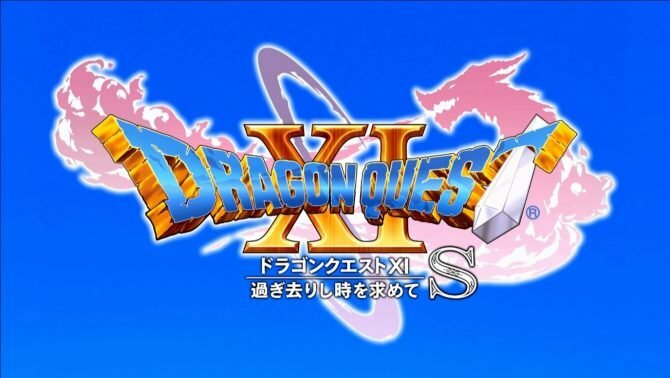 He also designed the Super Robot Wars DD logo.